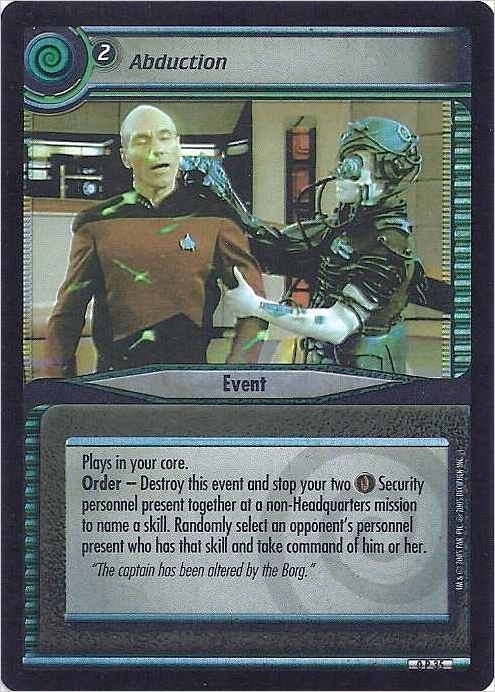 Order - Destroy this event and stop your two Security personnel present together at a non-Headquarters mission to name a skill. 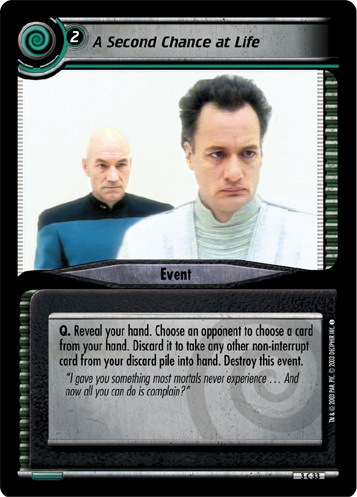 Randomly select an opponent's personnel present who has that skill and take command of him or her. 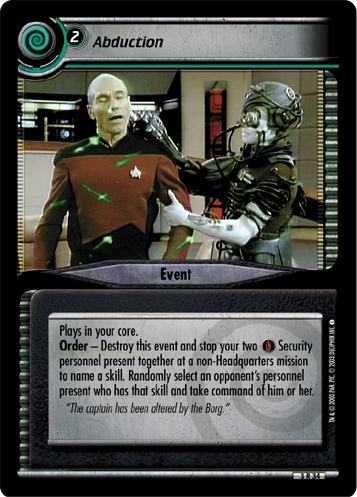 "The captain has been altered by the Borg."